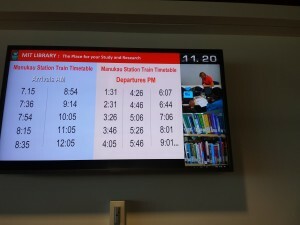 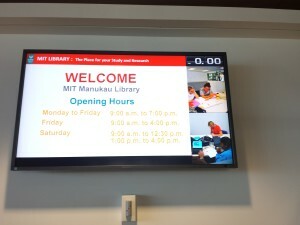 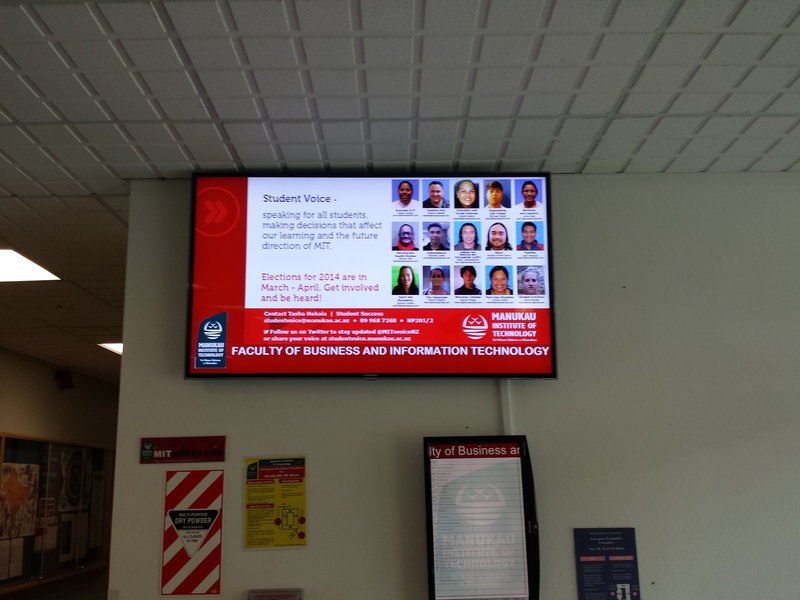 Manukau Institute of Technology have used Wallflower for several years in their main campus. 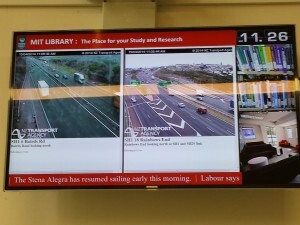 as live traffic webcams and real-time bus timetabling from the Auckland transport system. 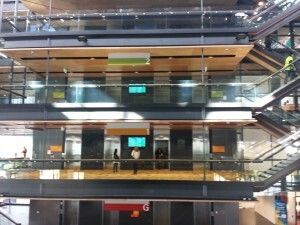 In 2014 a new business campus was opened. 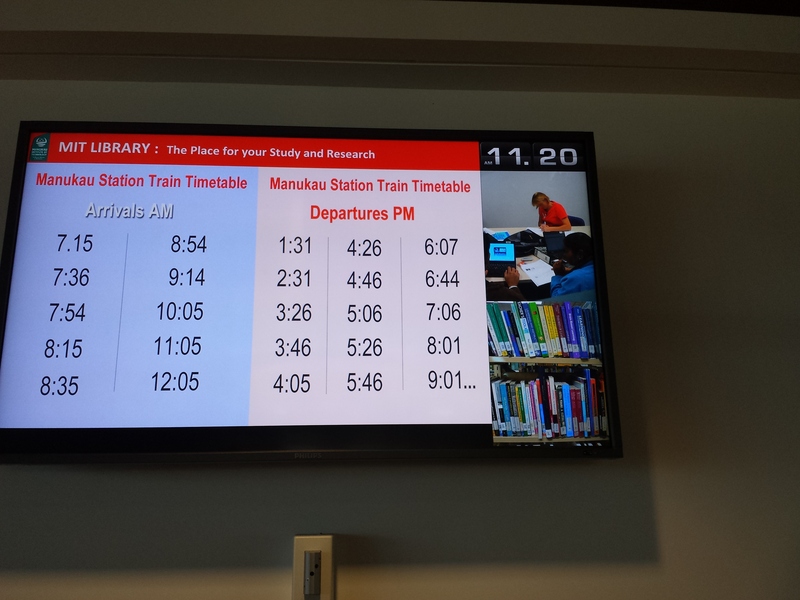 This centre is built over the Manukau Train Station and functions as a transport hub. The campus is built as a series of rooms around a central atrium rising to the full height of the building. 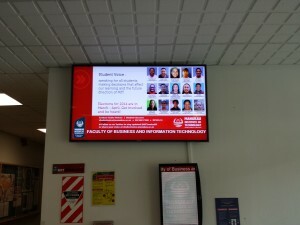 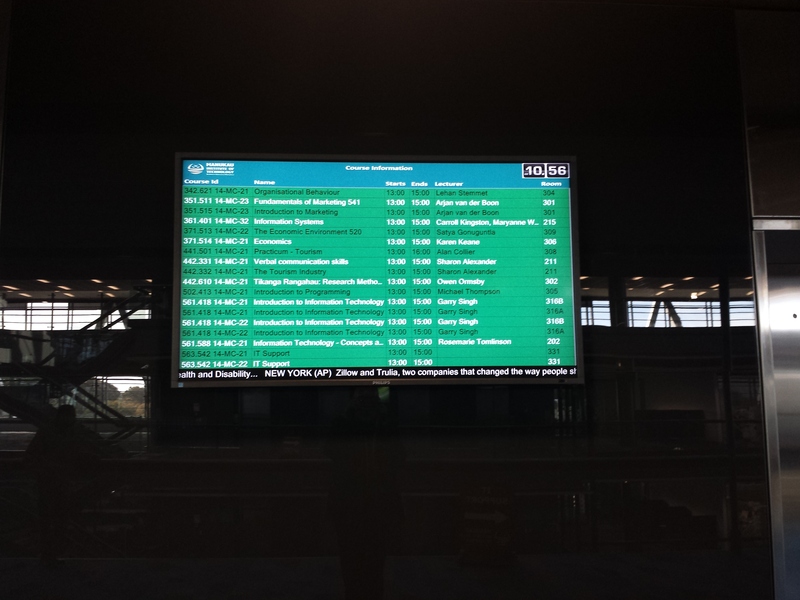 This offered an opportunity to extend the Wallflower network by adding over 30 additional displays. 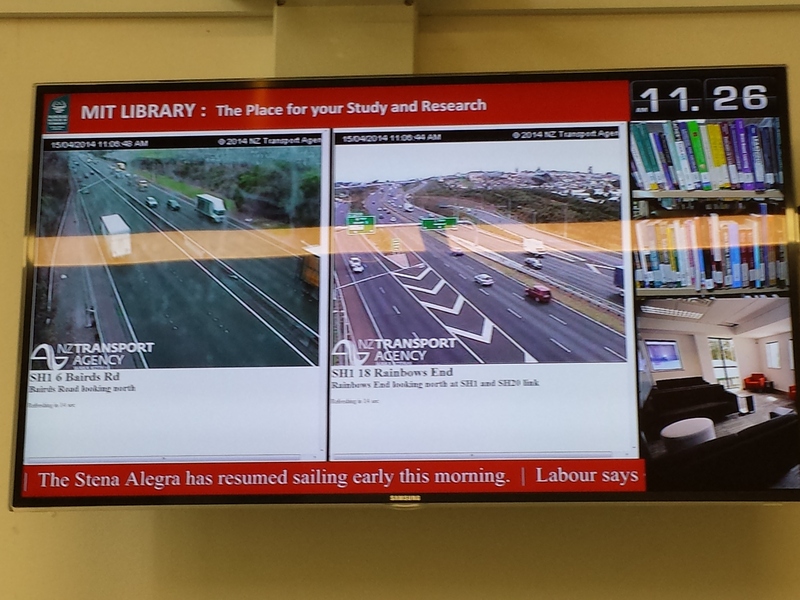 These are located on each floor alongside lifts, within training rooms and in libraries and offices. 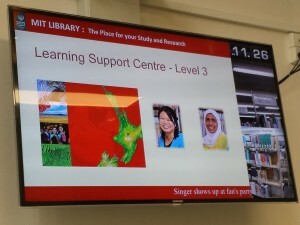 New functionality developed by Wallflower ADSL now displays course information in real-time to assist students in locating where courses are being held.